The largest group of home buyers right now are Millennials, according to Ellie Mae, a software company that analyzes mortgage data. Millennials represented around 45% of all purchase loans in January of this year. That compares to 42% in January of 2016. Just a short time ago, Millennials were living with their parents longer, but now they are excelling in their careers, and they’re ready to purchase their first home. Being a first-time home buyer comes with a wide gamut of emotions. It’s exciting, stressful, emotional and in the end, rewarding, if you make the right decisions along the way. The market right now is extremely hot in the Des Moines metro for starter homes, and buyers must act fast to get the home they want. When things are moving quickly, it can be easy for first-time buyers to look at cosmetics and space, and forget to look at big investments that may come up down the road. It’s important when looking for the perfect house that buyers take some things into consideration, such as the age of the home they’re purchasing, the time that any renovations were made, and the length of time they plan on living in the home. We’ve put together an easy timeline of when to take care of major investments to help first-time buyers with their planning. Replace Caulk around Windows and Doors: Windows and doors can be the main source of air infiltration, both during extreme heat and extreme cold. It’s important that a home is properly insulated and sealed to avoid high energy costs and overworking the HVAC system. Before doing so, it’s a good idea to call Home Solutions of Iowa for a home energy evaluation to determine what areas of the home need the most focus. Clean Air Ducts: Normal accumulation of dust and dirt found in homes with air ducts, as well as other factors such as pets, allergies, water damage or home renovation projects are all important reasons to have your air ducts cleaned every 2-5 years. If they stay dirty, they can pose a fire hazard or health problems. Seal Grout: Even clean bathrooms and kitchens can get dirty grout lines, which really detracts from the appearance. Because cement-based grout is porous by nature, substances can seep inside and cause ugly discoloration. Therefore, it’s important to seal grout on a regular basis every couple of years. Paint Exterior: If a home has wood siding, it’s important to maintain it before it starts flaking or rotting. 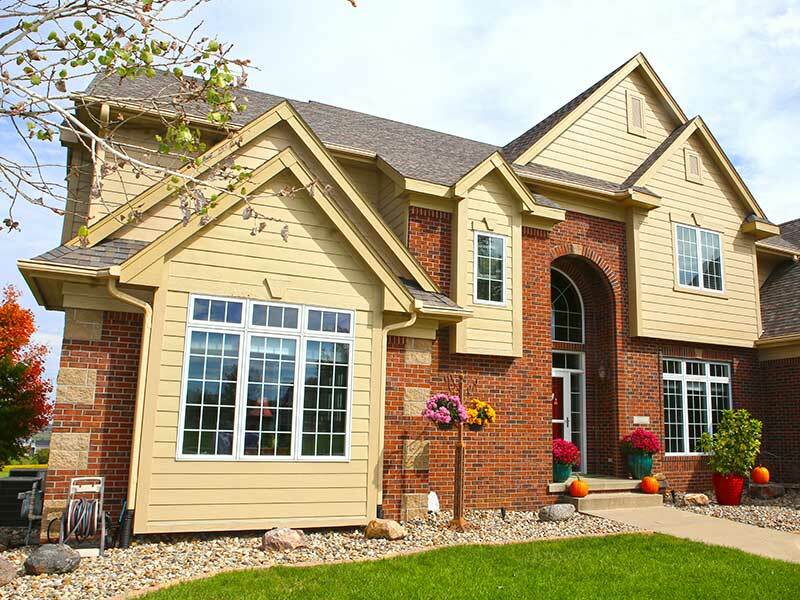 It may be worth contacting Home Solutions of Iowa to talk about getting new siding. With several types of siding to choose from, investing in updated siding will make the resale value of a home go up and make it less worrisome for the owners to have to worry about problems in the future. Replace Kitchen Appliances: Most appliances typically need to be replaced within ten years of purchasing them. However, with technology advancing the way that it has, it may be necessary to replace them sooner than that if you want to stay up-to-date with the latest options. Replace Hot Water Heater: If a hot water heater is maintained properly and drained annually, it should last about ten years. Energy-efficient hot water heaters will increase a home’s resale value and keep energy costs down for the current homeowners. Replace Smoke Detectors: Whether a smoke detector is working properly or not, all units in the home should be replaced every ten years to keep a home and the family inside safe. Check Roof: Depending on the roofing material, roofs need to be replaced every 20 to 30 years. Making sure a roof is in good condition is an important repair to make note of, as damage to a roof can potentially allow water damage to the interior of a home. 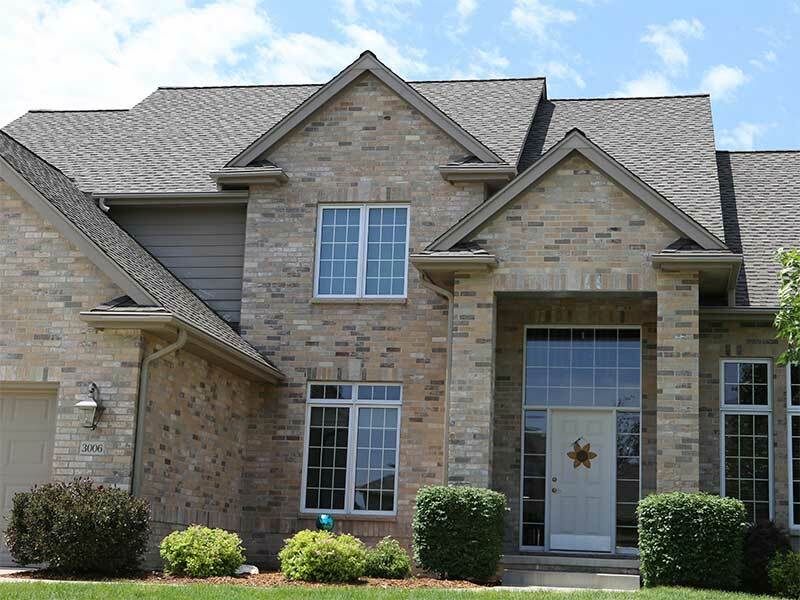 If a buyer is looking at a home that may need a new roof, it is worth calling Home Solutions of Iowa. GAF Roofing Systems will ensure a home has a durable, sturdy roof that will look great, increase the resale value and last for years to come. Replace HVAC System: HVAC systems should be inspected each year, but between 15 and 20 years, it will be time to replace the systems. Fortunately, there are so many new options worth the initial investment, to decrease energy bills and be a reliable and vital organ of a home, especially with Iowa’s extreme temperatures in both summer and winter. Replace Gutters: Gutters, when well maintained and cleaned properly, typically last around 15 to 20 years. However, maple trees in certain parts of Iowa are hard on a home’s gutter systems and cleaning them isn’t always front of mind. Home Solutions of Iowa has a gutter system that will protect a home’s gutters and keep the homeowner happy because they never need to be cleaned. When it’s time to look into gutter replacement, adding a LeafGuard® gutter system is a great investment for both the homeowner and the resale value. While homeowners are searching for a home, it’s important to ask questions to see when the above things may need to be considered and factor them into the decision-making process so that there are no surprises once the contract is signed and the sale is complete. When buyers plan ahead for the big and not-so-fun parts of home ownership, it will leave them more time and money for the fun part of owning a home such as customizing, decorating and landscaping!